With a shorter rod you will be able to make any cast that you need to make on this stream. 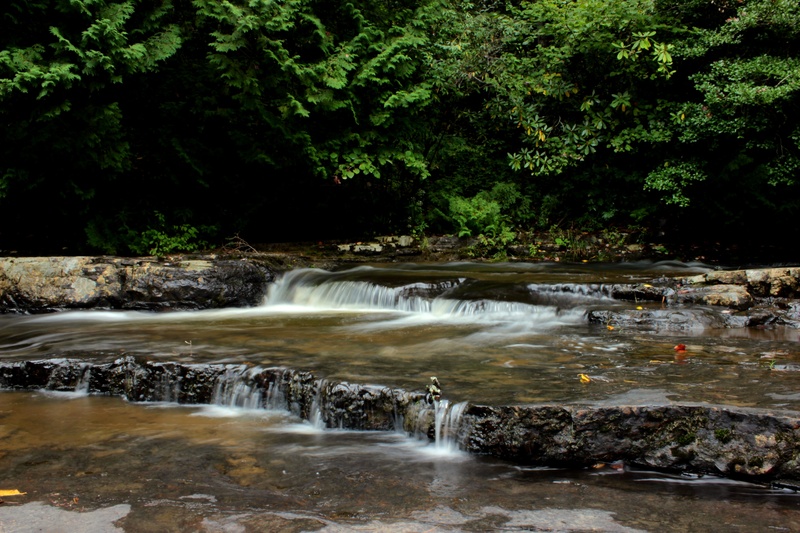 Located minutes away from down town Narrows, VA, Mill Creek is the quintessential Virginian mountain stream with its large splash pools, rhododendrons, and boulder sized freestones. 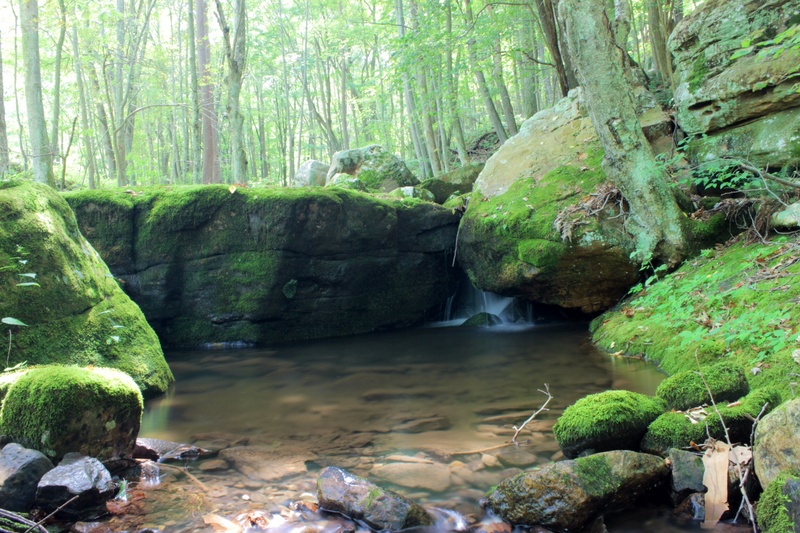 With its healthy population of native brook and wild rainbow trout, this technical stream is a nice alternative to Little Stony Creek. However do not anticipate any real size to these trout; they tend to be palm size or smaller. Half of a mile up the creek from the parking area is a dam that has created a small pond. This particular spot often produces fish when the rest of the stream does not. Not only are the trout very forgiving here but there is very little overhead foliage to deal with; making this area a fantastic place for those learning to fly fish. Multi nymph and dry/dropper rigs can be used at this spot. In fact this is the only place I have ever hooked dual fish on a multi nymph rig. Weather is a huge factor when fishing Mill Creek. During the summer months expect the stream to have very low water and during the winter months expect heavy snow and ice. 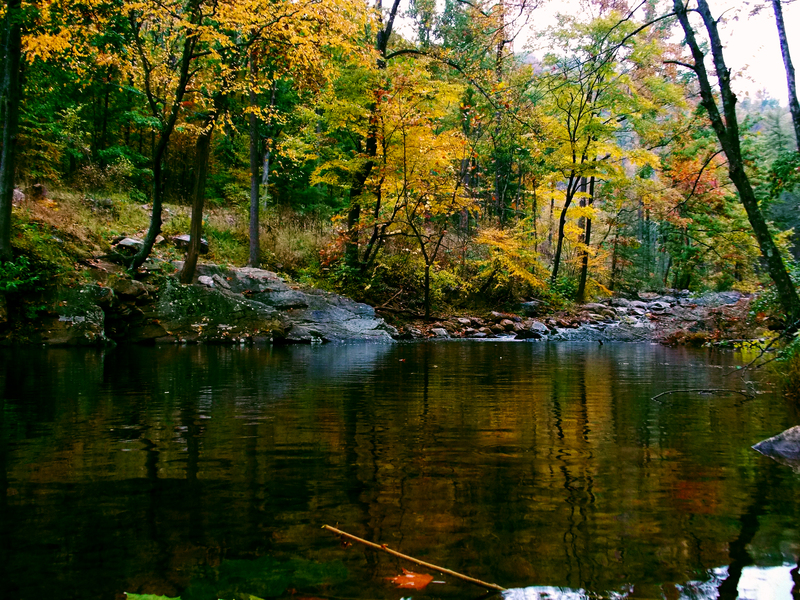 Ultimately fall and spring are the best times of the year to fish Mill Creek. 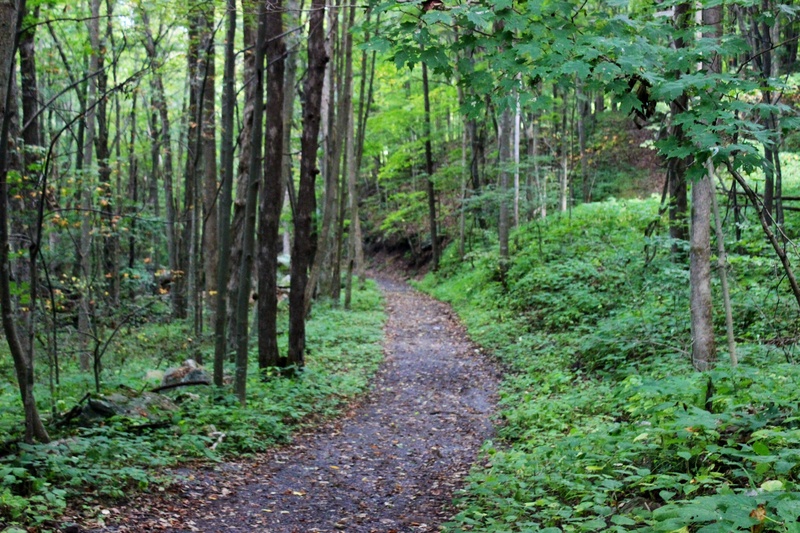 Mill Creek is also known for its excellent hiking and mountain bike trails so expect parking to be an issue, especially on the weekends. Take US 460 West towards Pearisburg, VA. Turn left onto Thomas Drive just after the last Pearisburg exit (which is just before the New River Bridge at Celanese). Go straight through the four way stop on to VA 100 North. Stay on this road for 3.4 miles then turn left onto Northview Street in Narrows. This road will continue all the way to the parking area. Note: do not take the right onto Poplar Street, it will look like the road is ending but it does not till you reach the parking area. 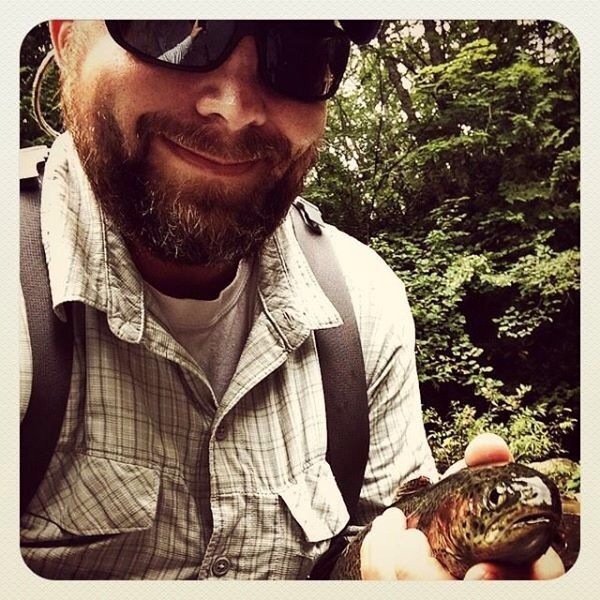 I had a very good day fishing Dismal Creek Falls, fish were destroying a small black ant pattern that I tie. The rainbow in the photos went after a bead head prince nymph. 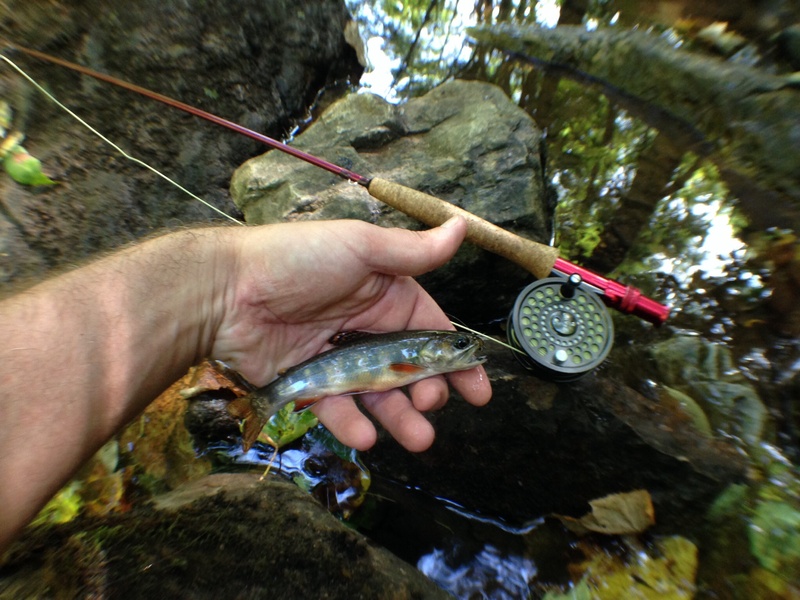 As long as you have a shorter rod you can do about any cast on Little Stony, just be mindful of the rhododendrons. By nature I am a nymph fly fisherman, I love tying them and I love fishing them. But this stream makes me enjoy dry fly fishing; there are really deep splash pools along with long flats that never disappoint when throwing a dry fly. You can use suspension devices and multi nymph rigs; however the best way to produce fish on this stream is to use a dry fly with a dropper. I personally like using soft hackles or a black callibaetis nymphs. Another good fly to use is a Clear Cure Goo style egg, I know it seems like cheating but they work well. There are really only a few cons to this stream; there are enormous amounts of tourists that visit the Cascades which in turn fills up the parking area and during the summertime the stream runs really low when there has been a shortage of rain. 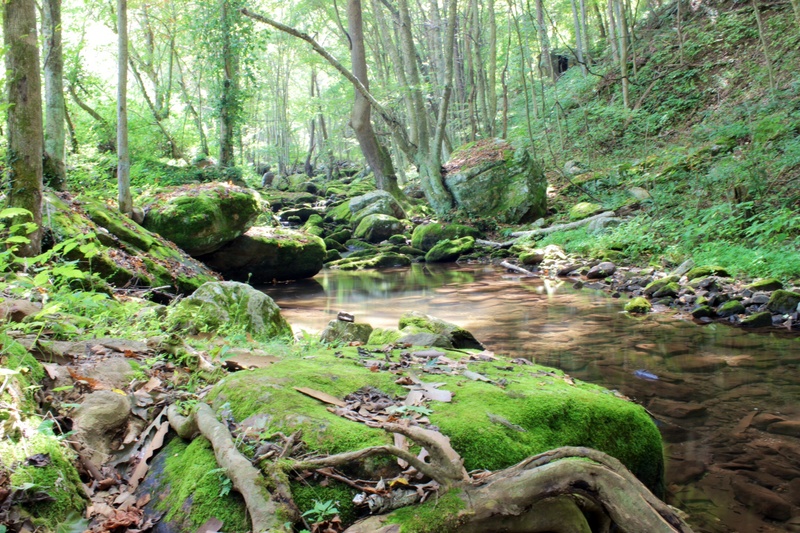 Really, if you are able to deal with an often crowded trail you’ll love this stream. There is a $3 fee to park in the parking lot and you should always pay it unless you like getting a $75 ticket. You can also get a Seasonal Day Use Pass from the Ranger station in Blacksburg for $30, which will allow you to park without paying the daily fee. The parking can quickly fill up throughout each day, particularly on Saturdays and Sundays. Yet there is now a seven day-a-week shuttle service that is located in Pembroke (I have never had to use this service so I do not know if they charge for this service). Make sure you also check the weather before you decide to go to Little Stony Creek, severe thunderstorms can pop up in this area without much warning and during the winter time snow storms can leave you stranded in a matter of minutes. Furthermore, if you live several hours away check the weather periodically during the upcoming week of your trip to keep an eye out for long periods of heavy rain, this stream is subject being blow out. Astonishingly there is cell phone service almost all of the way up to the Cascades in case you were to have an emergency. Take US 460 from Blacksburg to Pembroke. Turn right on VA 623, Cascade Drive. This road will take you to the Cascades parking area. Stream Category: Category A Stocked Stream. 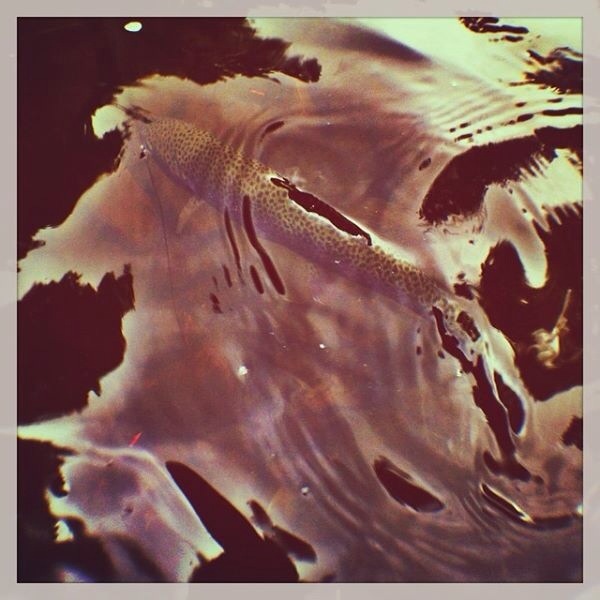 Wild Trout: Brown trout and Brook trout. Big Stony has the state record for largest Brook Trout. 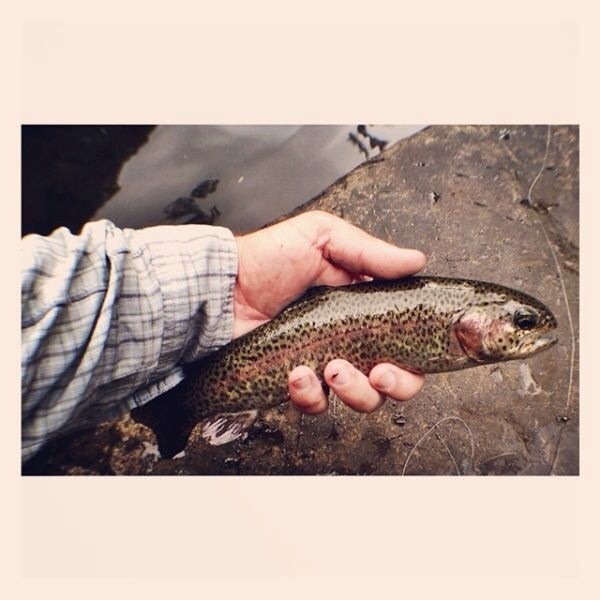 · Dry Flies: The one thing that local guides and I have in common is that we cannot get a trout in this stream to hit a dry fly. Sure you will see some trout rise, especially in the deeper pools, but since I have started fishing at Big Stoney I have yet to find a dry fly that works. 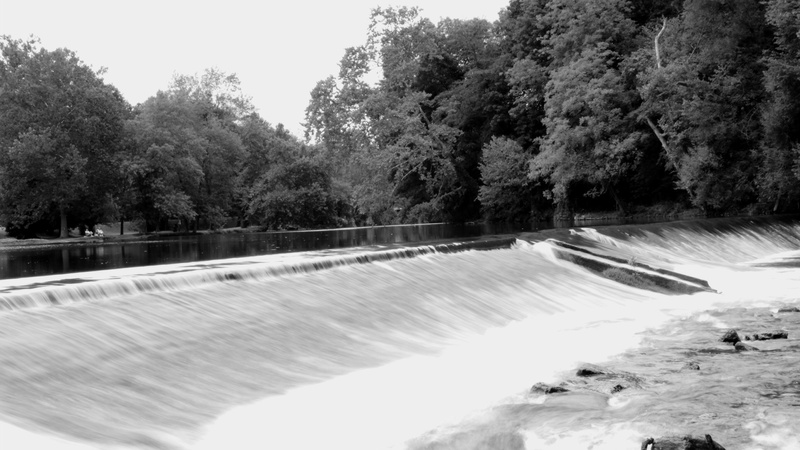 · Rod: 9’ rods work well for the entire stream, 7’ rods for Cherokee Flats towards Glen Alton. · Waders: Depending on when and where you fish Big Stony makes a big difference when it comes to wearing waders. With most of the bigger holes you do not really need waders because it is easier to fish from the bank. However if you decide to fish off the beaten path I would recommend at the least hip waders. During the winter months I would suggest chest waders just for safety reason. · Net: I always bring a net to Big Stony, believe me you will need it. Perfecting a roll cast is a must for Big Stony. However there are a few places where you can let a side or back rip. 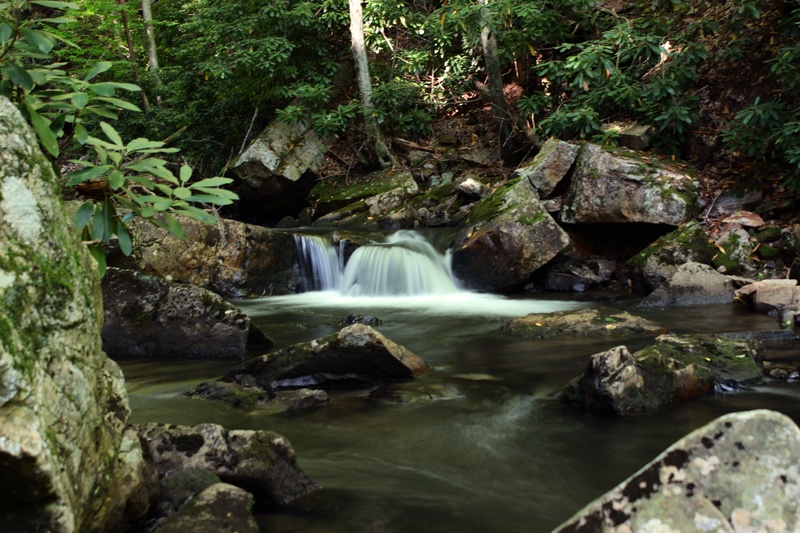 Big Stony Creek is a popular stream for both fly fisherman and spin fisherman; it is located in the back country of Giles County near the Appalachian Trail. 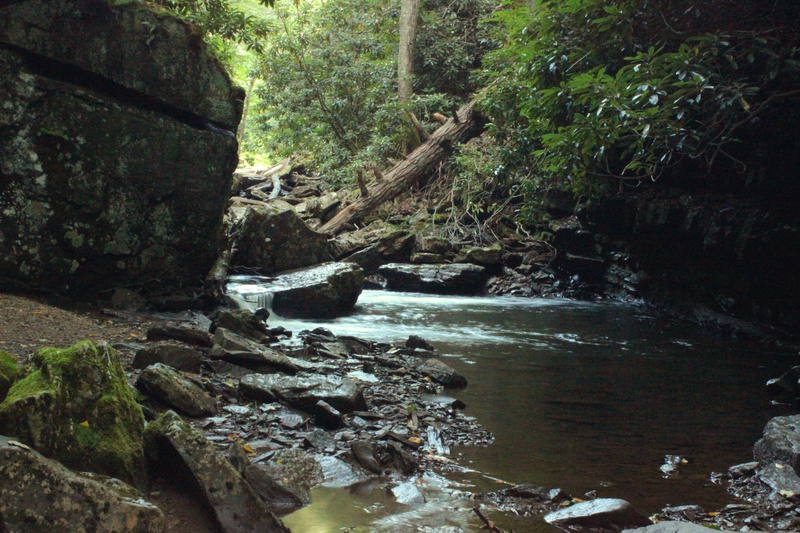 There are two fishable sections to this stream; the first section is located from the Jefferson National Forest sign to Cherokee Flats, and final section from Cherokee Flats to Glen Alton. 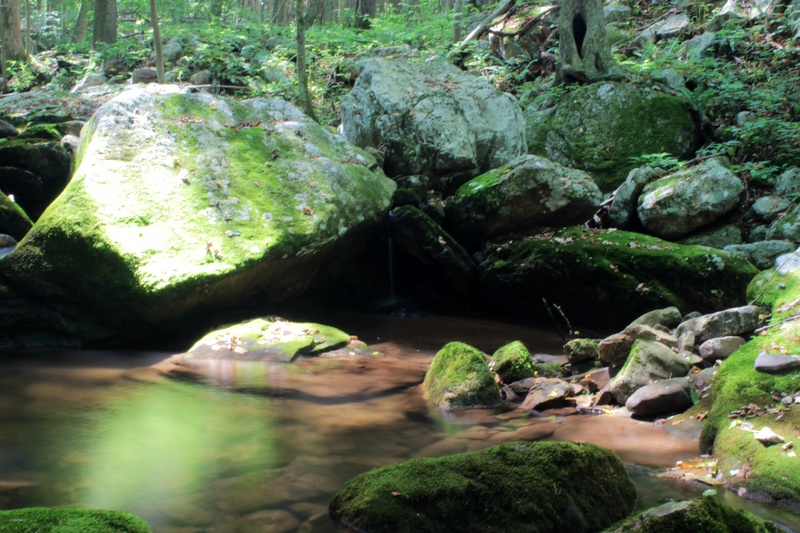 The first section by far is the most popular part of this stream, not only is it heavily stocked but it also contains several brown and brook trout that are wild. Usually I will spot fish before going back country, the water is often very clear here except during the spring runoff so spotting fish is often not a problem. There are deep holes in this section requiring fly fisherman to use a long leader and tippet. This past spring I fished deeper than ever because of the heavy snow pack we received. When it comes to flies, I fish nymphs that are tungsten bead heads because they get my nymphs to the right depth without having to add split shot which drastically affects my cast. Also I suggest using a multi nymph rig; it really helps with prospecting for what trout are feeding on. You cannot go wrong with a Zebra Midge; every brown trout that I have caught in this section was on a Zebra. The con to this section is its popularity. After a stocking the stream will be packed with spin fisherman. Most of them have never fished beside a fly fisherman and don’t realize how much room we often take up in a stream and will throw a lure right into your fly line. 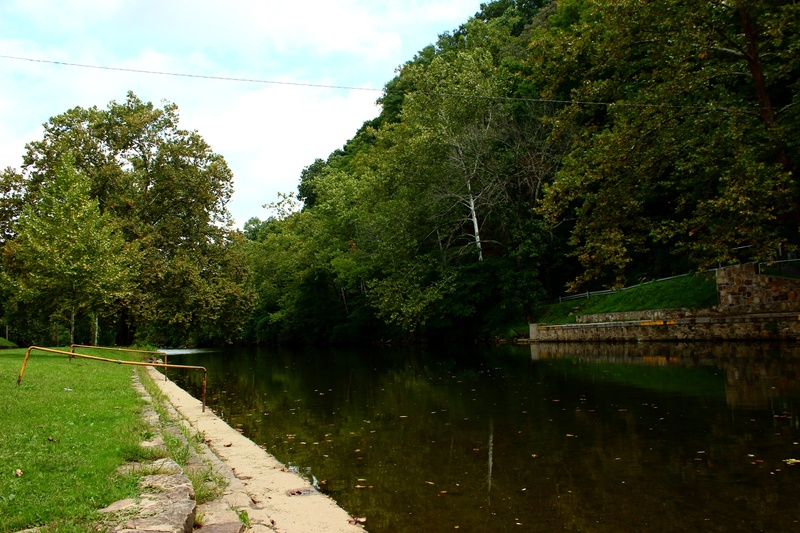 The stocked fish in this area will get fished out rather quickly during the fall and spring months. The second section is stocked just as heavy as the first section but that’s where the similarities end. 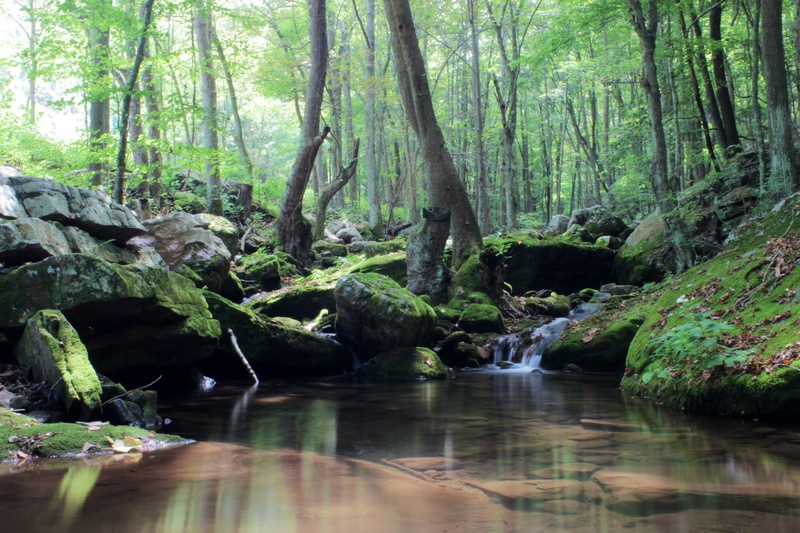 Once you get to Cherokee Flats, the stream goes from deep pools and fast runs to shallow flats and slow moving runs all the way to its head waters at Glen Alton. I always keep 2 rods rigged up when I come to Big Stony because of this reason. I keep my 9’ rod for the first and second sections and my 7’ rod setup with a shorter leader and tippet for this section. Keeping this in mind you will also want to watch your fly choice and rigging for this section, often here I will use an un-weighted fly for my top fly and a smaller weighted fly for my bottom fly. Traffic on Big Stony road is often ridiculous, between people going well above a safe speed. You will also have to deal with tractor and trailers that have trouble going over the mountain leading to Kimbleton mines. When you find a good pull off point make sure you get all of the way off the road especially when there is snow and ice on the ground. Most of the pull off spots is in blind curves and you do not want someone to smack into your vehicle. During the winter and early spring months, weather can be a huge challenge for those fishing Big Stony because of the varying terrain. I have literally started fishing the first section where there was no snow on the ground and when I got to Cherokee Flats the ground and road were covered in snow and ice. Needless to say be careful fishing during the winter months; bring proper clothing and when snow or ice starts to fall heavily its best just to leave. One winter day I went there right after a decent snow and saw fallen trees after fallen trees the whole way from the Jefferson National Forest sign to Glen Alton. Big Stony is not only an area known for fishing but also hunting, specifically bear. I cannot tell you how many times I have heard gun shots around me or seen hunters parked with a bear in the bed of their trucks. During hunting season it is a very good idea to wear some type of orange or bright colored clothing for safety. Take US 460 from Blacksburg west past Pembroke until you see the signs for White Rocks Recreational Area. Turn right on to VA 635, Big Stony Road. 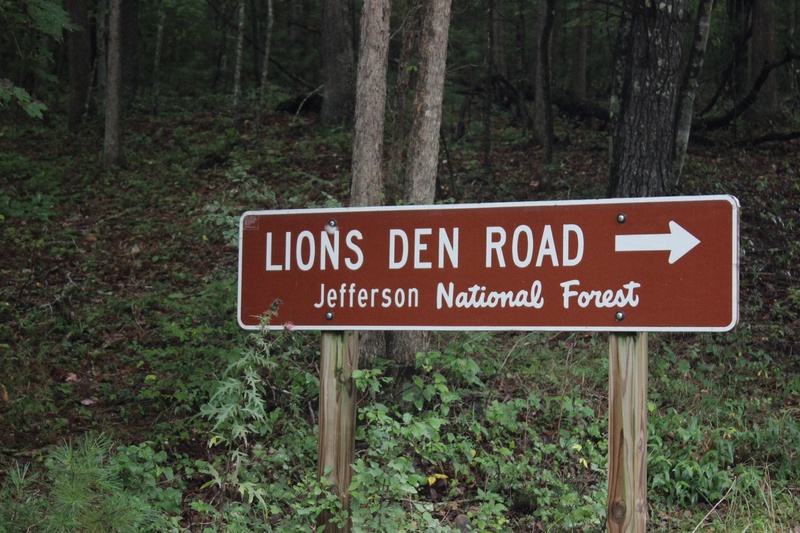 This road will take you to the stream, for the lower sections looked for the limestone mine and for the upper stocked portions look for the Jefferson National Forest sign and the Cherokee Flats sign. 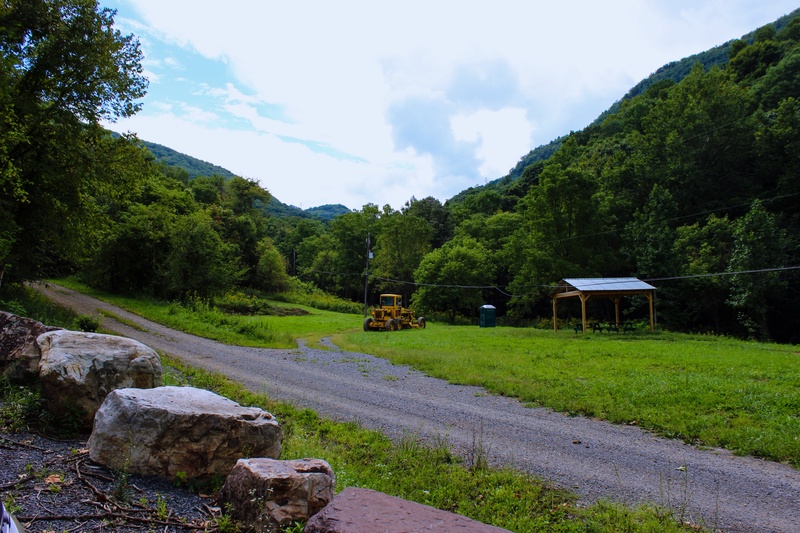 Don’t be fooled by Wolf Creek’s name it is a small river located between Narrows and Rocky Gap that will provide fly fisherman with ample opportunities for not only trout but other species of fish. 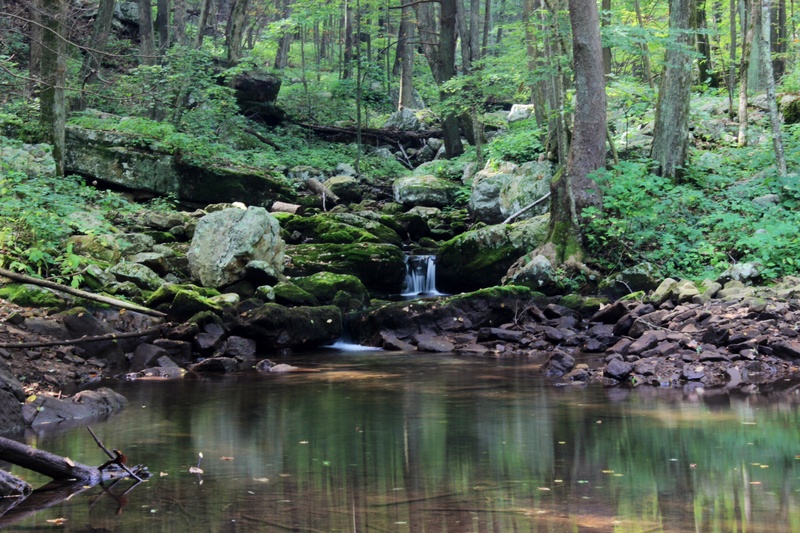 Wolf Creek is a place for those that want to catch big trout and get away from the small streams. Because Wolf Creek is very wide times, sometimes exceeding 30 yards in width, you can let your back cast rip without ever having to worry about trees and rhododendrons. Though the state only stocks in the town of Narrows this area is more than enough for one person to fish in a day. You can start fishing Wolf Creek as soon as you come into Narrows on either side of town, generally I start at the bridge at Princeton Ln. and fish to the dam at the duck pond (this area is behind Grants Grocery and Anna’s Restaurant). This is the fastest moving water that you will find on all of Wolf Creek, and though it doesn’t look deep it is. Don’t even try dry flies on this section, stick to nymphs and streamers. The duck pond is often a prime fishing area for spin and bait cast fisherman, however I do not recommend it to fly fisherman unless you are going to head of the pond. In town Wolf Creek slows down becoming one gigantic flat, with the exception of an area of riffles located at the town park. There are several different sites after the duck pond that one can put in at; often where you go is going to dependent on how crowded the stream and the town park are. Regularly I will go to the town park and start fishing here, however if the park is crowded you can turn left onto Old Wolf Creek Road just past Narrows High School. This road will follow the stream out of town and has several good pull off spots for vehicles. When fishing this mile long section you will not be restricted to specific types of flies, I have luck with dries, nymphs, and streamers. Because this is a freestone stream you don’t have to worry about snagging underwater vegetation, just the occasional rock or fallen tree limb. 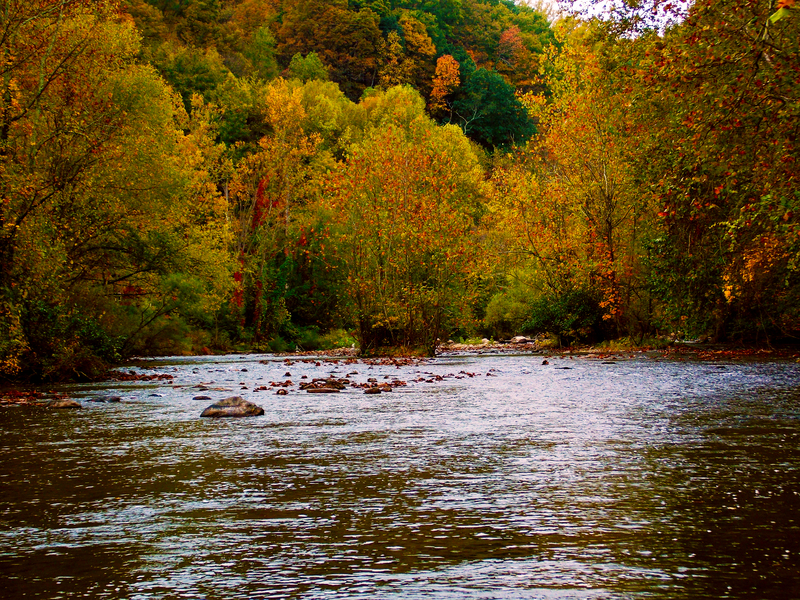 Repeatedly I have caught larger trout in this area that are taking advantage of the slow moving deep water. During the summer months fishermen are not supposed to fish in the town park but you can take Old Wolf Creek road and fish the other side of the stream outside of the park. 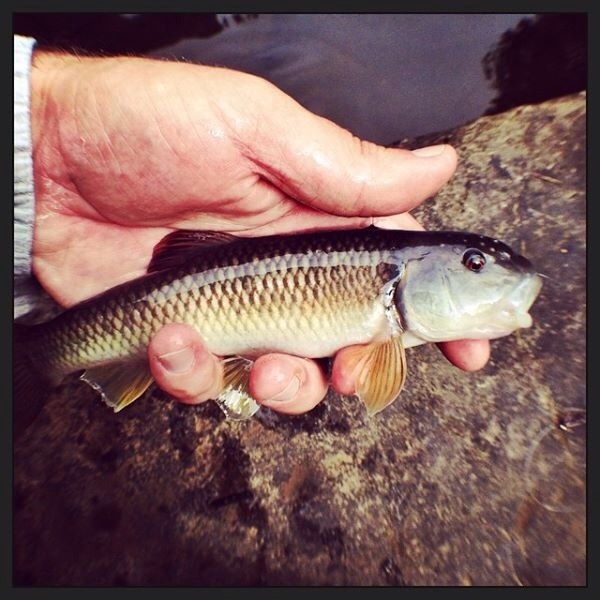 From Narrows to the Giles/Bland County border Wolf Creek follows VA-61 for a majority of its length and can be fished, however fishermen should be on the lookout for posted signs. Follow US 460 West towards Narrows. Turn right onto Fleshman Rd at the stop light in Narrows. Then take 2nd left onto MacArthur Ln. Go over the New River Bridge and under the railway tracks into the town of Narrows and Wolf Creek will begin on your left. Back and side casts shouldn’t be an issue as long as you are using a 7’ rod, also I recommend using roll casts for the Dismal Creek falls section when using heavy multi nymph rigs. 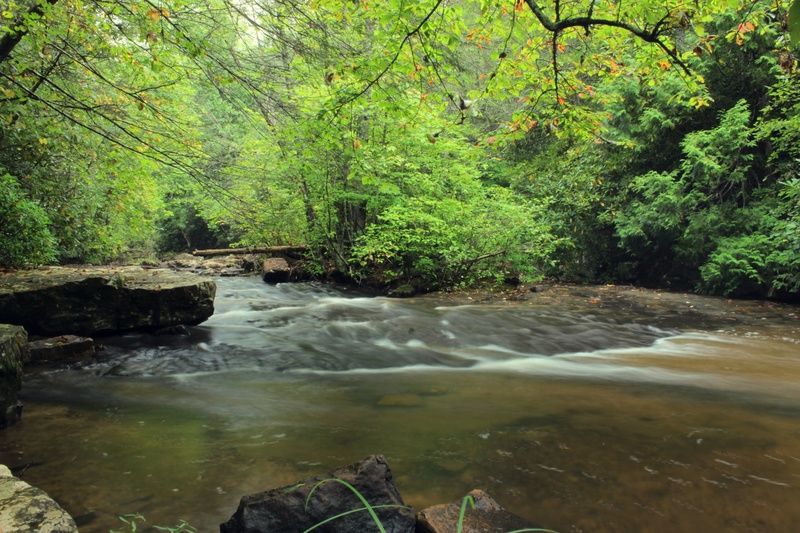 While not easily accessible, Dismal Creek provides fly fisherman with yearlong opportunities for both native and stocked trout. 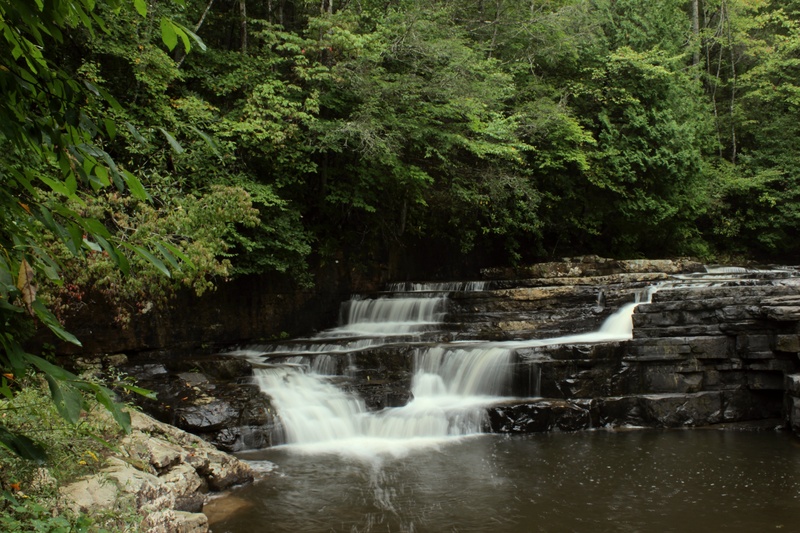 Located on the border of Giles and Bland Counties in the Jefferson National Forest this stream is primarily known for its scenic falls. 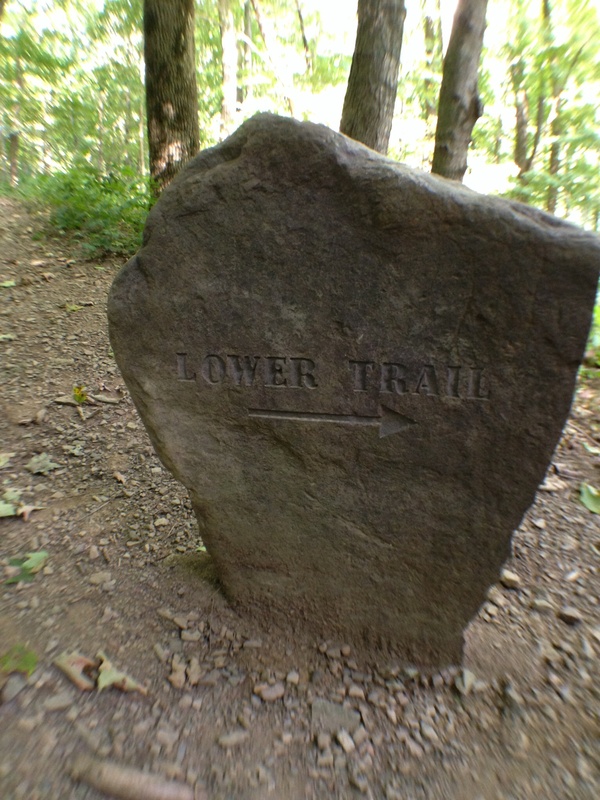 It is not uncommon to see people hiking and camping here due to its close proximity to the Appalachian Trail. 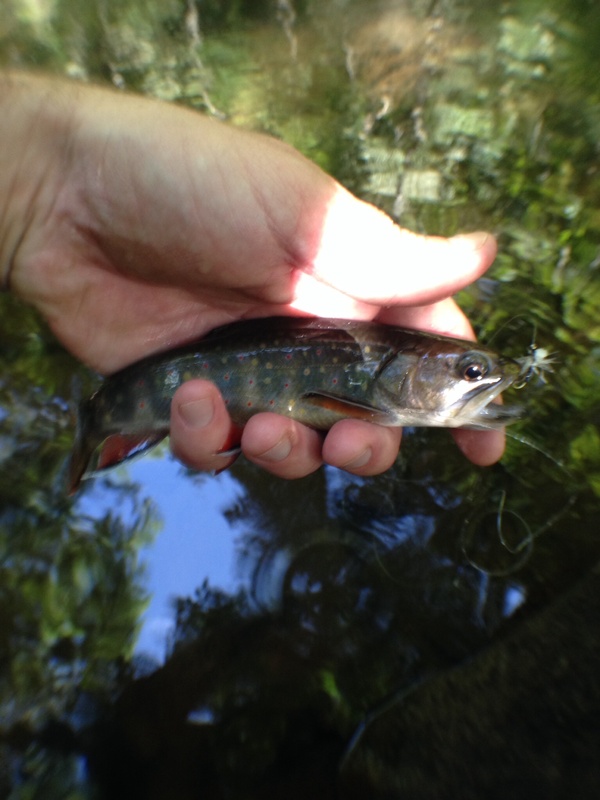 Dismal Creek has three stocked areas of water; however you can continue fishing on up the stream for native brook trout. 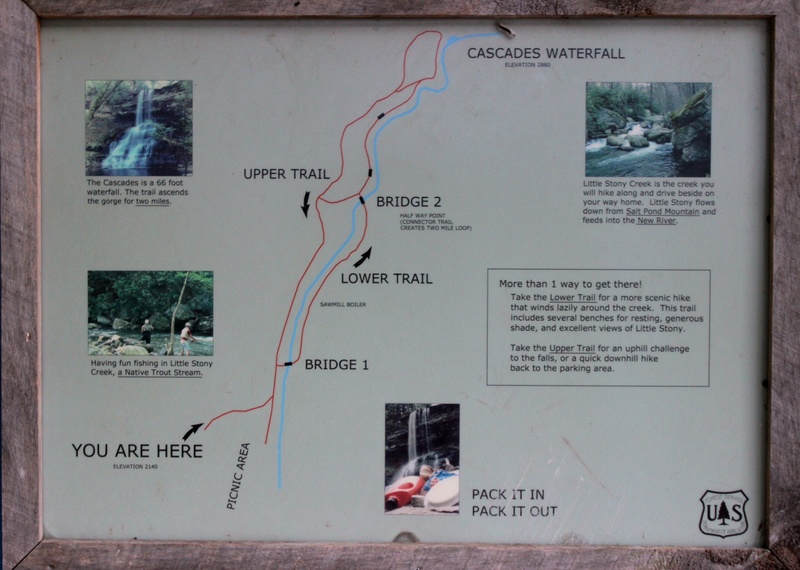 The first section, which begins at the End of State Maintenance sign to Dismal Creek falls, is probably the hardest and most overlooked section of stream. This is due to the fact that there are limited options of access areas to the stream. Passed the E.O.S.M. sign the road will begin to snake up the mountain side leaving the stream entirely, leaving only two options: park at the bottom of the mountain or park at the falls. Since starting to fly fish the stream I have only once fished this entire area once and it took all day. While this section does have pocket water for dry flies, I prefer using a multi nymph rig with a jig nymph for the bottom fly. 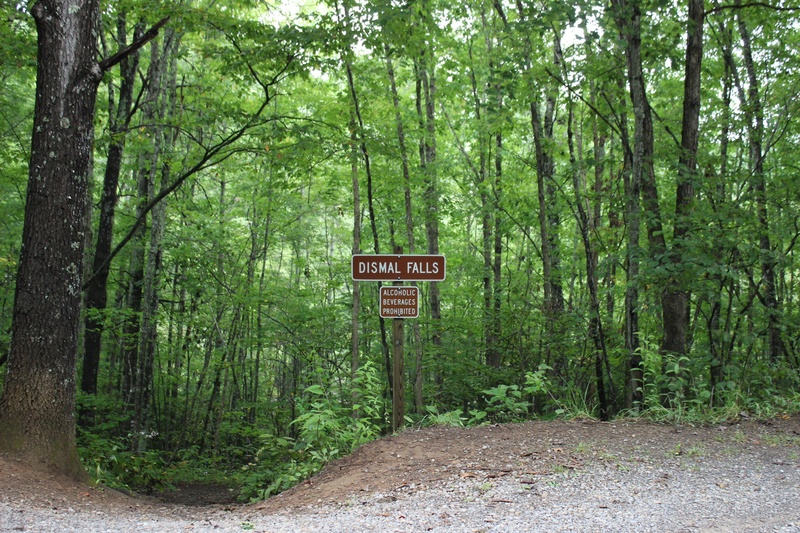 Up next is Dismal Creek falls which is the most popular area of the entire stream for fishermen. When fishing this area you will need to be prepared to fish deep even during the summer months. Normally using a 9’ rod I setup a rig consisting of three weighted nymphs one foot apart and a suspension device two to three feet above the last nymph. Don’t be afraid to put on a larger suspension device, because of the falls the surface turbulence doesn’t seem to play a factor while fishing. Roll cast directly into the falls and let the nymphs dead drift through this deep area for best results. The final section, which is above the falls to the camping area on Lion’s Den road, is a dry fly fisherman’s dream come to true with its long slow moving flats. It’s really hard to imagine this section being here after seeing the other faster moving parts of Dismal Creek. Just make sure you bring a 7’ rod and some patience for this area, you will get hung up by the rhododendrons. There are some cons to Dismal Creek though. Unlike the other streams in Giles County, you cannot simply get off of US 460 and be there in a matter of minutes. Ultimately there are no simple ways to get to Dismal Creek, on average it takes over an hour to get to there from any major town or city. The other cons are the elbow to elbow spin fishermen that show up right after a stocking and the tourists that love to swim at the falls. 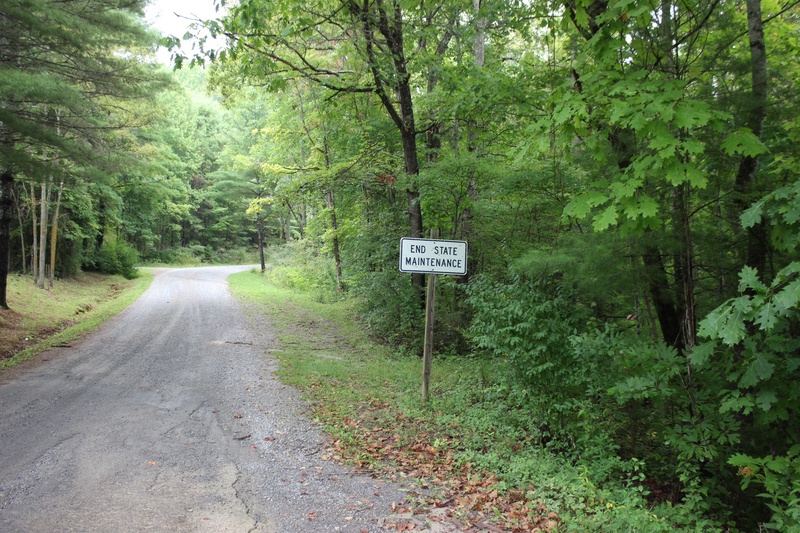 Because of Dismal Creek’s seclusion one must keep in mind back country safety issues. There is no cell phone service here, I would highly recommend telling a friend or a relative that you are going here and a general time you will be back. Likewise make sure you bring plenty of water, some non-perishable food, and a med kit in case of an emergency (the closest hospital is forty minutes away). Also suggest wearing some type of bright orange clothing for the hunters in the area. Lastly, if you have a concealed permit to carry I would suggest you do so, this area is known for to have bears, bobcats, and rattlesnakes. From Bland, go east on VA 42 about 13.5 miles. Go left (north) on VA 606 for 1 mile and turn right onto VA 201 just past store. From Blacksburg, go west on US 460 to Pearisburg and take the second exit onto VA 100. Stay on VA 100 for 10 miles. Turn right on VA 42. 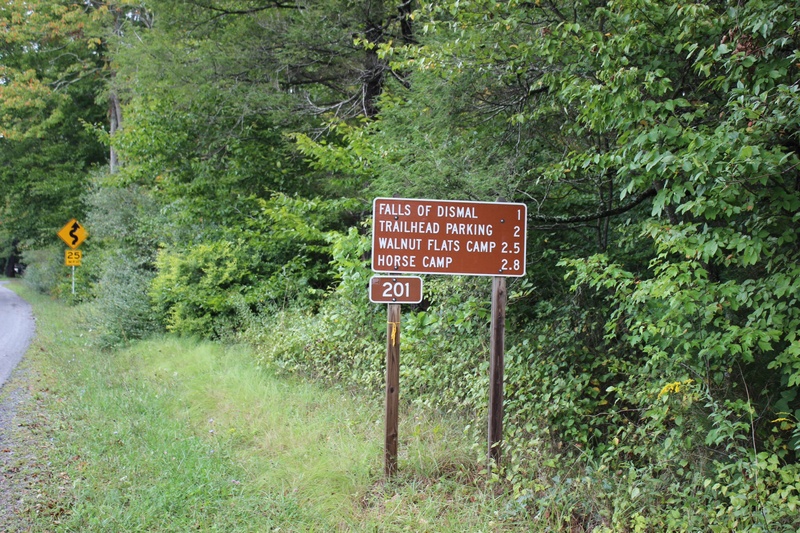 After 10 miles, turn right on VA 606 and follow directions above. From Dublin, go north on VA 100 until you get to VA 42 and turn left. Follow directions for Blacksburg from here.